He hungers - For a refreshing beverage! Now you can get this 4-inch solid metal bottle opener shaped like the head of Galactus! The Devourer of Worlds has plagued the Fantastic Four for years, but he'll come in handy the next time you're thirsty! 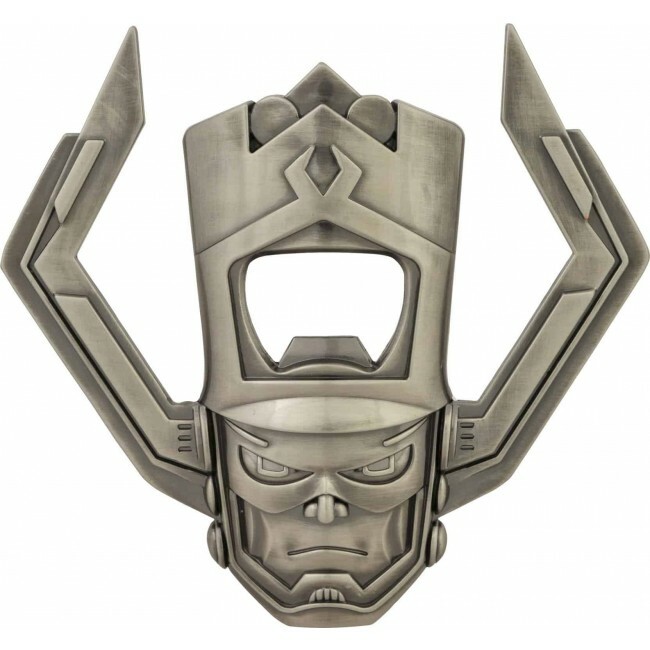 And he comes with fridge-mountable magnets for hanging on the fridge when you're done - No Ultimate Nullifier necessary!